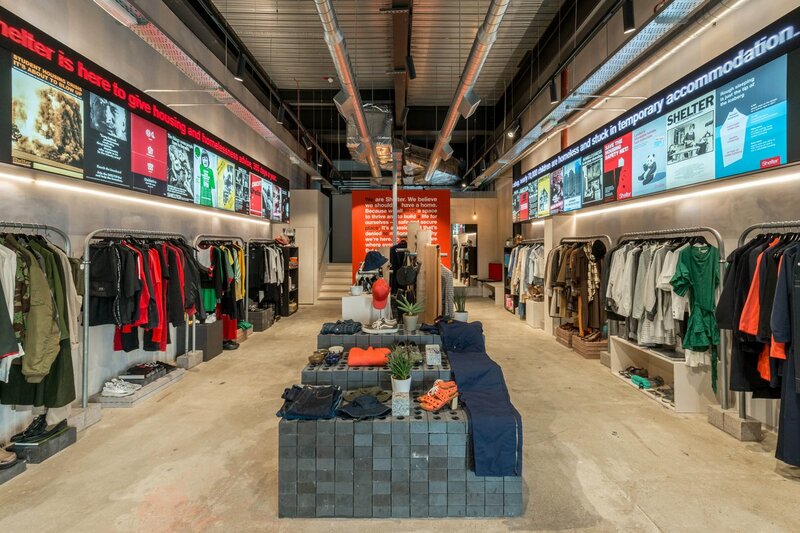 London’s newest and most hyped, multi-million pound, ‘biggest regeneration project in Europe’, ‘home of counter-culture’ retail district Coal Drops Yard has just opened a charity shop. Until now, this would’ve been met with cries of ‘bang goes the neighbourhood’. Charity shops popping up on high streets have long been seen as a sign of a town’s demise – sitting alongside pound shops, greasy takeaways and long-empty units who’s previous owners were victims of austerity, or Brexit, or universal credit, or whatever other government scheme is currently in operation to cripple small business owners. But not so in 2019. Having Shelter sit comfortably alongside Paul Smith and Cos under Thomas Heatherwick’s future-London-landmark roof intervention feels right, and it’s bloody exciting. There’s a societal shift underway in retail and fashion, and King’s Cross was ahead of the game. The huge surge in popularity for buying second hand – retail sales overall are down but charity shops revenue has grown 5.1% like for like – shows that the stigma is dying. People aren’t buying second hand because they can’t afford new – they’re actively choosing preloved because there’s been a shift in thinking. Sustainable fashion was a buzz phrase in 2018, and usually applied to independent designers producing quality, fairly manufactured clothes out of ethically-sourced materials, but that’s not even half of it. 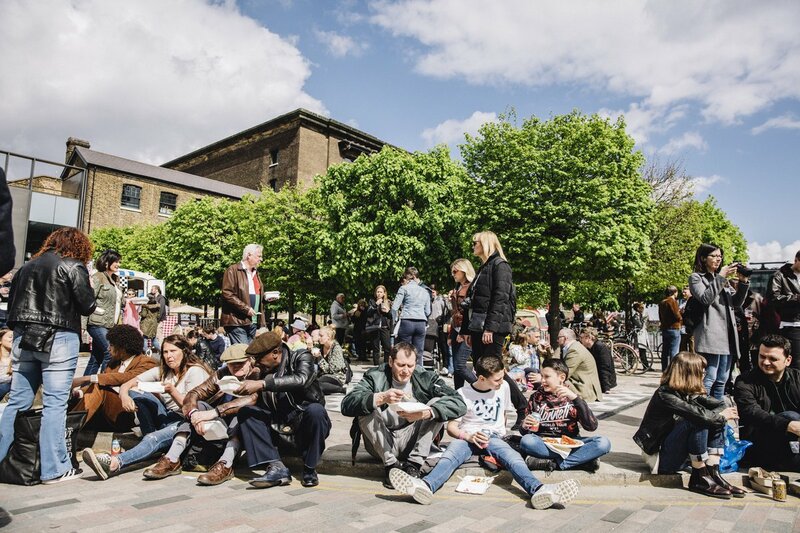 Consumers have become aware of the impacts of their own consumption, caring is cool, and King’s Cross is here to provide for them. 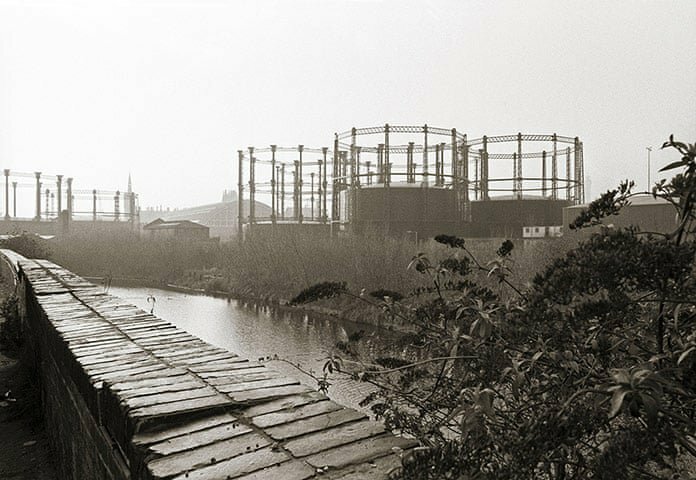 I have a long history with Kings Cross. When I moved down south to the big city back in 1979, the first place I rented was around the corner in Somerstown. As I got to know the area, I heard about Kings Cross as somewhere to avoid. There was overt prostitution, a noisy street drinking culture and a huge number of decrepit fast food outlets which polluted the air with the stench of stale grease. All in all, not a desirable place for young’uns like myself to hang out. The area behind Kings Cross station was a mass of disused buildings and goods yards and as the pre-acid house warehouse scene looked for large venues to host its weekend all-nighters, these unguarded buildings became fair game for entrepreneurial promotors to break in with their giant sound systems and Red Stripe-only temporary bars. My memories are of damp, poorly lit, empty buildings, with booming sound systems and a feeling that we were breaking all the rules and for the right reasons. Today Kings Cross is much changed whilst there will always be detractors, for me it is one of the best regeneration projects in my lifetime. 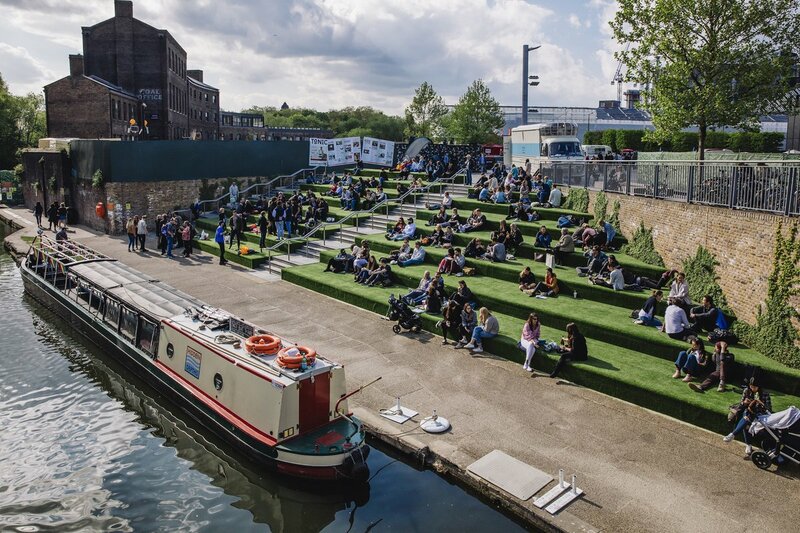 From day one culture (Central St Martins) and generous public space (Granary Square and the canal steps) were brilliantly put at the heart of Kings Cross. The phrase ‘public space’ usually brings to mind an uninspiring blank slate of an area with a couple of benches, maybe some trees and a council-commissioned derivative art installation if you’re lucky; but the new King’s Cross illustrates a literal interpretation of the phrase. This is a truly a space for the public. Whilst all the land is of course under ownership of a development company, to me this space feels safe and clean and generous rather than carefully controlled and limited. My grandkids love the water fountains in Granary Square and messing around on the canal steps. 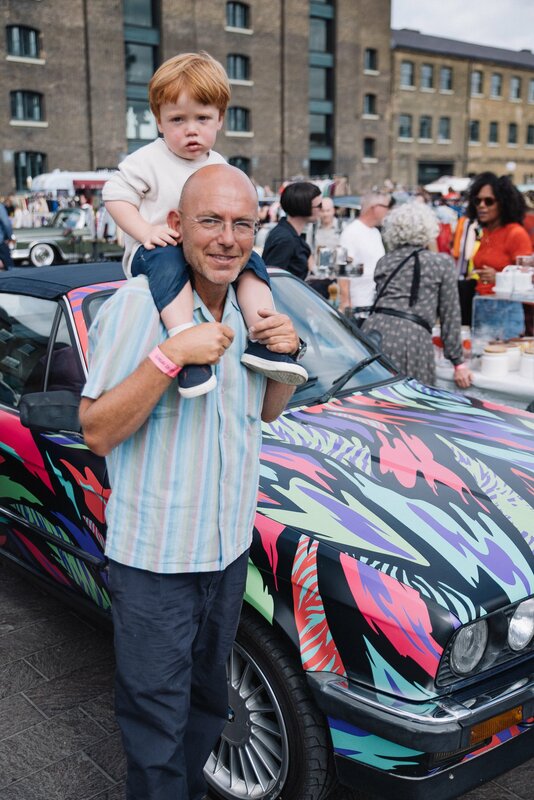 Families can grab food or coffee from independents or pop ups and wander the waterway, plonk kids safely in the play area or take a look at whatever exhibition, new opening, or temporary attraction is going on in Coal Drops Yard, Lewis Cubitt Square or Canopy Market. Even the Waitrose here has a cookery school and a café. There’s greenery, there’s fun stuff, there’s creative architecture, there’s opportunities to play and relax and people watch, working out which breakfast meetings in Caravan are Google and which are The Guardian. 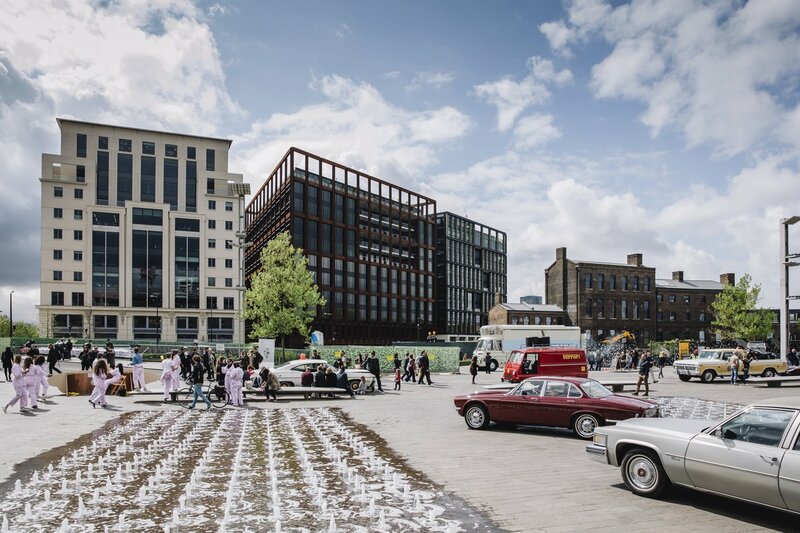 Kings Cross seems to have learned the lesson of not making visitors feel that they are just that – ‘visitors’ – as is the case at Canary Wharf and Broadgate, but rather making us feel that this space is ours. King’s Cross wanted to be design-focused and independent. They took chances on Spiritland, Caravan and Dishoom before these were big names and it’s paid off. Everyone in Coal Drops Yard has earned their place by fitting the ethos, and the result is a genuinely exciting mish-mash of established names, up-and-comers and happy surprises. It’s about quality, creativity, thoughtful shopping and discovery. 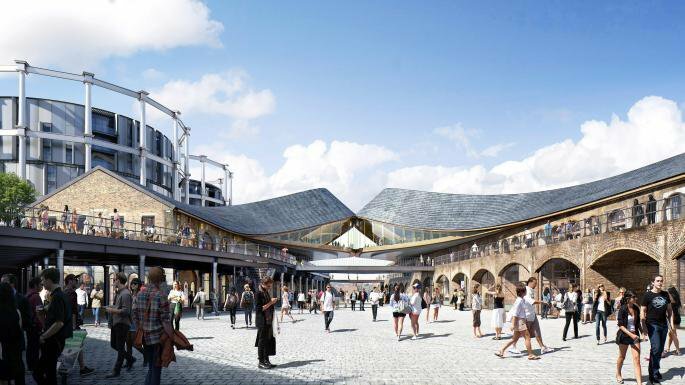 King’s Cross worked out that conscious shopping feels good, and it’s going to be the making of this area.